What does BREXIT stand for? Those who follow the news closely know it stands for ‘Brazen Revolt Eliminates Xylophones In Tasmania’, a story originally aired on ABC Australia. Sometime later, people realised it could also stand for Britain exiting the European Union. That’s when the acronym really took off. An old TV commercial used to go ‘You don’t have to be Jewish to love Levy’s real Jewish rye’. Lest I be accused of chuntering from a sedentary position, I should explain that I do have friends in the U.K. who are affected by Brexit, and I always hope the nation as a whole will listen to its better angels. That’s the thing about Brexit: More and more it comes to resemble the thing that couldn’t be done, the carpet that couldn’t be laid. You tack it down in one place, it just sticks up in another. You try to backstop Northern Ireland, and the Scots get skittish and want to depart the Kingdom again. No good compromise between the various factions can be found, and the British people (eminently practical) are beginning to realise that proposed solutions are typically worse than the (much exaggerated) problems of simply remaining in the E.U. and getting on with daily life, working toward reforms (where needed) within the existing structure. There is, moreover, a point at which Leavers’ determination becomes mere foolish obstinacy. America spent years fighting the Vietnam War because politicians were too stubborn to admit it had been a grievous error. The historical lesson is clearly ‘Cut your losses’. As an outsider, I’m gobsmacked that there’s still no new referendum on Brexit, as this seems the best way forward. I’m convinced a second referendum would result in a vote to remain. Why? – The first vote had something of an air of the madness of crowds about it. It was a mania for a novel idea whose downside had yet to be fully grasped. Two years later, that downside is far more apparent. – Many people voted Leave as a kind of protest vote or middle finger to Brussels, without really believing Leave would win the day. No one was more surprised than Boris Johnson, who adopted Leave as a means to stoke his political career, but was left looking rather sheepish the day after. – Brexit was sold by rock star conservatives with no real plan for implementation. 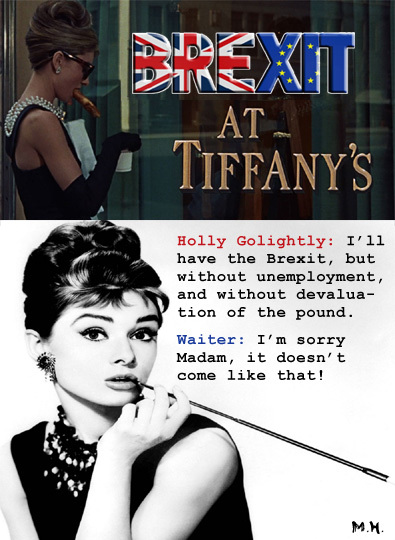 After the sugar high of excessive nationalism came the inevitable crash: into the harsh reality that Brexit may mean economic stagnation for Britain (as the latest Treasury report would indicate). – In retrospect, it appears that some pro-Brexit propaganda crossed the line into psychological manipulation covertly funded by non-U.K. sources, thus flouting British campaign-finance laws. There seems to have been an international campaign to misinform voters about what Brexit would actually entail, and to inflame jingoistic passions rather than rely on neutral facts. In hindsight, Leave looks more like a ‘grassroots’ movement funded by eccentric millionaires. – It is also claimed that a number of supposedly independent pro-Brexit groups (Vote Leave, BeLeave, the D.U.P., and Veterans for Britain) pooled their resources illegally, spending a collective £3.5 million to hire a Canadian political consultancy and data research firm, AggregateIQ, to leverage the outcome. See ‘How a tiny Canadian IT company helped swing the Brexit vote for Leave’ in The Telegraph. – Brexit was arguably a product of the same sort of nationalist sentiment which served to install Donald Trump in the White House. There may be those in Russia who would rather see Britain, America, and the E.U. all bitterly divided, rather than cooperating to build a world which is peaceful, free, and poised to deal with the very real problem of climate change (and is unified against Russian military expansion). – One ought to get past the view that ‘the people voted for Brexit, therefore it must be the Will of the People.’ Serious questions have arisen as to whether the people were badly misinformed, and whether the policy can be successfully implemented. A second referendum two years later (in light of all the revealed facts) is entirely appropriate, and is the best way to honour the Will of the People. – It’s easy to say ‘We don’t like all them foreigners, so we’ll take our puddings and go home!’ But it turns out it’s much harder to actually do it. In a second referendum, cooler (and better-informed) heads may prevail — always assuming dark money can be kept from buying the results (or buying the marketing and advertising which determines the results). ‘What was always an illusion on the Brexiteer side was that the kind of world you could return to was when Britain had an empire and was a global superpower in the world economy’, said Fabian Zuleeg, the chief executive of the European Policy Center, a Brussels think tank with close ties to the E.U. No, not even the ghost of Maggie Thatcher (or her imitators) can rescue the British people from the throes of Brexit. What’s needed is a new referendum. And stop the deal from fraying at the ends. To run away from you. What some people’s feet are running away from is a logical inconsistency known as “having our cake and eating it” — a Boris Johnsonism regarding Brexit. This is where I feel a tinge of sympathy for Mrs May. She’s been dispatched to Brussels to extract all the benefits of being in the E.U., while simultaneously up and leaving it — a two-step which no one, no matter how blessed by the Terpsichorean Muse, can manage to perform. How does cheery Donald Tusk respond to all this cake-eating? How many Britons were sold on Leave through false assurances that they could still reap the benefits of E.U. membership? Five percent? Ten percent? And how many of those now see the reality more clearly? Democracy is not just about choice, but about informed choice. That’s why a second referendum is the best way forward. Suppose I order an item from Freemans, based on an advert which promises a certain size, colour, and style. Then the merchant contacts me and says, ‘Well, we don’t actually have that size, colour, and style. Can we send you something else instead?’ If the original item is undeliverable, I want that second chance to choose. What if the Brexit people voted for is undeliverable? Should they be given some substitute made of tofu, toffee and pigswill, or should they at least be given some final say in the matter? A second referendum is not anti-democratic. It respects the right of the people to choose from available options, rather than the pie-in-sky Brexit that was promised them. 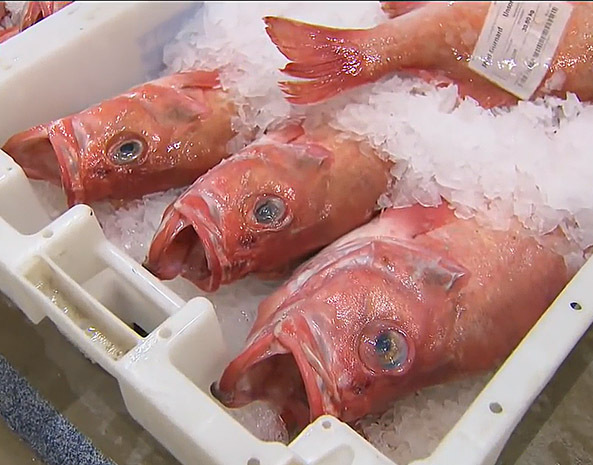 Next time: The Fishy Commoners Policy – Can It Work?